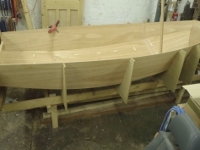 The original kit boat was supplied with rowlocks and oars so the boat could be rowed. In the 60s and 70s, rowlocks were metal, and metal rowlock plates were fitted onto the wooden rowlock chocks to take the wear from the rowlocks when they were in use. 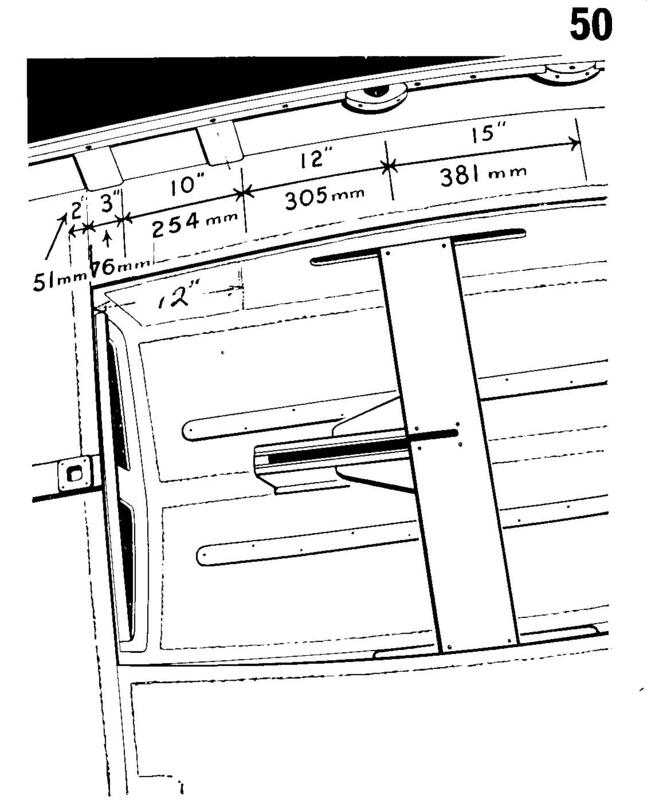 According to the original Bell Woodworking Mirror Building Instructions, the rowlock chocks were mounted aft of the thwart, about 27" or 686 mm aft of the aft edge of the aft shroud block. The easiest way to determine the position of the hole which will take the stem or the rowlocks is to fix, centrally over the inner gunwale and rowlock chock, the metal plate for the rowlock housing but do this very loosely. 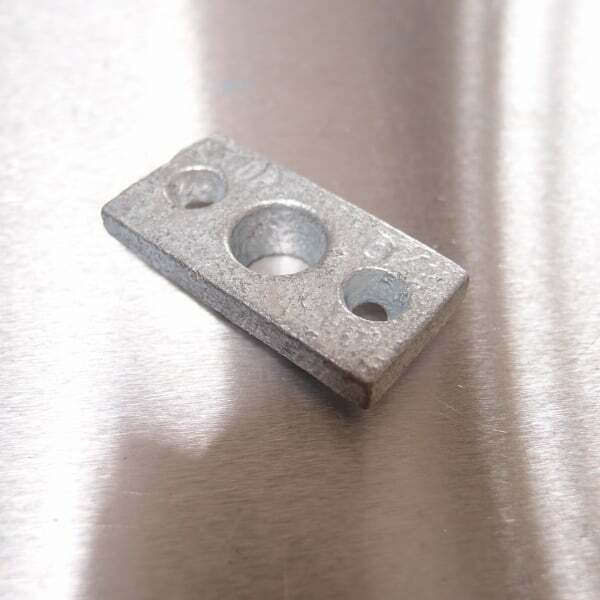 By this method you can mark the starting point of the stem hole through the block. After removing the plate you should have a clear circular pencil mark where you can start drilling. Make sure that the angle of your drill is parallel with the side of the boat or else you might punch a hole in the topsides. Having drilled the hole you can now replace the rowlock plate. 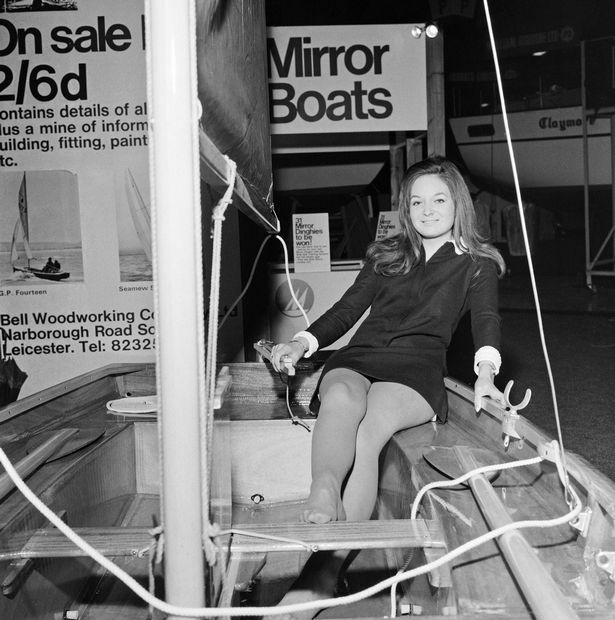 The picture from the 1968 Boat Show (above) appers to show the rowlock plates on top of the rowlock chock and gunwale. 15563 'Blyskawica' was built by Bell Woodworking in 1969 and supplied with the rowlock plates let into the gunwale/rowlock chock, which is a bit neater, but did weaken the inner gunwale considerably. I would suggest fitting the rowlock plate to the rowlock chock, so it does not overlap the inner gunwale. In this way you can let them in without damaging and weakening the inner gunwale. By 1989 Bell were supplying plastic rowlocks and plastic rowlock fittings which did not need rowlock chocks. In my experience, plastic rowlocks are a waste of space, and best avoided. They just bend when you pull hard on the oars. 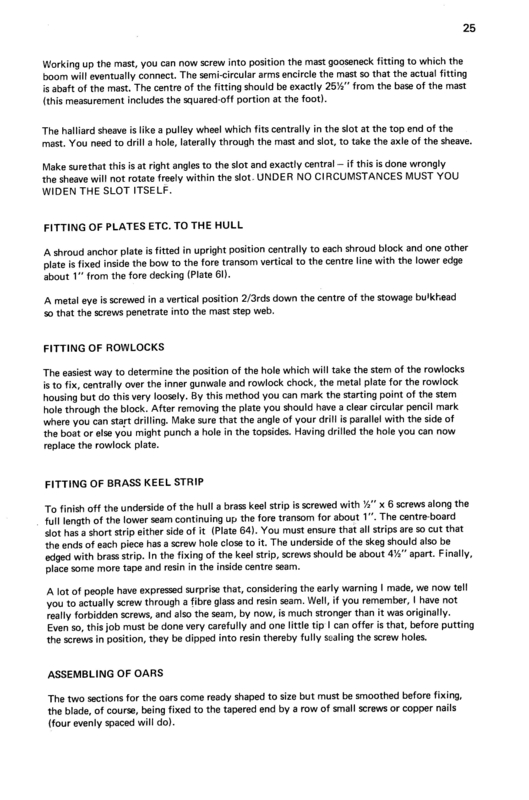 In general, racing boats did not fit rowlock chocks or plates as they were optional and saving weight is important. 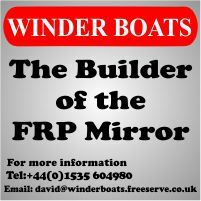 We have a separate article about Mirror oars which may be of interest.